The California Solar Rights Act (“Solar Rights Act”), found at Civil Code Sections 714 and 714.1, provides certain protections for homeowners seeking to install solar energy systems (i.e., solar panels) on their properties. 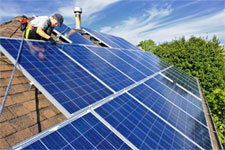 The intent of the Solar Rights Act is to prohibit homeowners associations (“HOAs”) from broadly banning solar energy systems for aesthetic reasons–whether through an explicit ban or through onerous architectural restrictions that greatly reduce the performance of solar energy systems, or increase their costs. To that end, the Solar Rights Act renders void and unenforceable any provision of a HOA’s governing documents that “effectively prohibits or restricts the installation or use of a solar energy system.” Civ. Code § 714(a). The Solar Rights Act does, however, allow for a HOA to place “reasonable restrictions” on the installation or use of solar energy systems. “Reasonable restrictions” are those which do not “significantly increase the costs of the system or significantly decrease its efficiency or specified performance.” Civ. Code § 714(b). In determining what constitutes a “significant” increase in cost or a “significant” decrease in performance in the context of solar panels, the Solar Rights act currently sets those thresholds at a $2,000 and 20%, respectively. Civ. Code § 714(d)(1)(B). Thus, under the text of the current Solar Rights Act, if complying with a provision in a HOA’s governing documents would, for example, only result in a 14% decrease in the system’s performance, that provision would be valid and enforceable. This issue was addressed in the Tesoro case that we blogged about in 2011. 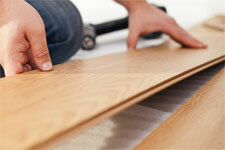 However, the passage of AB 2188 (Muratsuchi) will serve to cut those thresholds in half. Effective January 1, 2015, AB 2188 will amend the term “significantly” to mean an amount not exceeding $1,000 or deceasing the efficiency of the system by more than 10%. AB 2188 will also reduce the thresholds for other types of solar energy systems (i.e., solar heating systems) in a similar fashion. AB 2188 further shortens the timeline for a HOA to review and approve/disapprove a solar energy system application (from 60 days down to 45 days), as well as modify various certification requirements affecting proposed systems. The current language of the Solar Rights Act severely limits the degree to which a HOA may restrict the installation and use of solar energy systems. However, as a result of AB 2188 and its reduced cost increase/performance decrease thresholds, the ability for HOAs to restrict solar energy systems will be effectively nullified. With the increasing prevalence of solar panels, HOA Boards of Directors and management professionals must be aware of the Solar Rights Act and the likelihood that any substantive architectural restriction on the use of solar panels may not ultimately be enforceable. However, there is an ambiguity within this language with regard to exclusive use common area. While “maintaining” exclusive use common area is the homeowner’s responsibility, Section 4775 fails to state who exactly is responsible for “repairing” or “replacing” the exclusive use common area. This ambiguity is often problematic for condominium developments that may have numerous exclusive use common areas, such as exterior windows, reserved parking spaces, patios, balconies, etc. Industry practice has held that the homeowner is only responsible for the basic upkeep/maintenance of the exclusive use common area’s usable surfaces, while the HOA would be responsible for any major or structural repairs to the exclusive use common area. 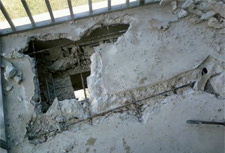 We previously blogged about this issue in response to a question on balcony repairs within a condominium development. HOA Boards and management professionals must still be aware of the fact that Section 4775’s default structure does not supersede any conflicting provisions in the CC&Rs. Moreover, even when an exclusive use common area is to be repaired or replaced by the HOA, there may be instances where a homeowner should be held responsible for the repair or replacement costs. 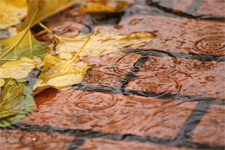 For example, if damage to common area or exclusive use common area is sustained as a result of the acts of a homeowner, his guests or tenants, most CC&Rs contain provisions allowing (and even requiring) the HOA to levy what is commonly known as a “reimbursement” special assessment against the homeowner to recover the HOA’s repair costs. The authority for a HOA to take such action is also supported by Civil Code Section 5725(a). We have previously blogged about several bills being considered by the California Legislature relating to drought relief. Among them was AB2104 (Gonzales), which has now been signed by Governor Brown and will take effect January 1, 2015. 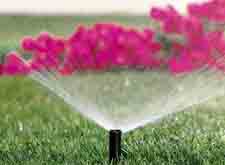 In sum, AB2104 will expand upon the limitations placed upon Homeowners Associations (“HOAs”) in their efforts to regulate “low water-using plants,” as well as incorporate an Executive Order signed by Governor Brown in April of 2014 that prohibits HOAs from fining homeowners for reducing/eliminating the watering of lawns during declared drought periods. Section 4735 of the California Civil Code previously stated that any provision of a HOA’s governing documents is void and unenforceable to the extent that it “prohibits, or includes conditions that have the effect of prohibiting, the use of law-water using plants as a group.” AB2104 will expand on this language by also voiding any governing document provision (including those contained in a HOA’s architectural or landscaping guidelines) that “prohibits, or includes conditions that have the effect of prohibiting, the use of low-water using plants as a group or as a replacement for existing turf.” (Emphasis added.) Additionally, the inability for HOAs to fine homeowners for failing to adequately water vegetation or lawns during state or local government-declared drought periods will be codified under new subpart (c) to Section 4735. To read the chaptered text of AB2104 and the portions of Section 4735 which will be amended, click here. 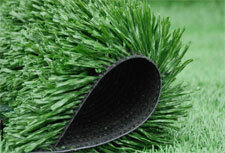 In the wake of AB2104, questions have surfaced regarding the extent to which HOA’s may still restrict or prohibit the installation of artificial turf. We have previously blogged about this issue, and how artificial turf likely does not constitute a “plant” within the meaning of Section 4735. Additionally, bills which have been proposed by the California Legislature in the past to require HOAs to permit the installation of artificial turf have been vetoed by California governors and ultimately never made it into law. It is unlikely that AB2104 addresses this issue or will otherwise limit the authority of HOAs to regulate or restrict the installation of artificial turf within their communities. In its third consecutive year of severe drought, California faces a historic water shortage and wildfire danger. According to Mashable.com and US Drought Monitor, “The entire state is in some stage of drought, with 77% of the state suffering from ‘extreme’ to ‘exceptional’ drought conditions.” Matters are expected to worsen, as California continues to experience its hottest year on record. In response to these conditions, Governor Brown signed an Emergency Drought Proclamation in January 2014 declaring a state of emergency and calling upon all Californians to voluntarily reduce their water usage by 20 percent. As residents of homeowners associations (“HOAs”) began responding to the Governor’s plea by reducing their irrigation, HOAs fined their members for failure to maintain their yards in accordance with the governing documents. 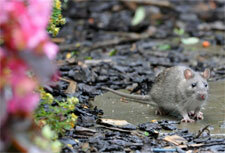 This led to swift action by both the Governor and the California Legislature. In April, Governor Brown signed an Executive Order which effectively prohibits HOAs from fining, or threatening to fine, homeowners “who comply with water conservation measures.” The Order further provides that “any provision of the governing document, architectural or landscaping guidelines, or policies of a common interest development will be void and unenforceable to the extent it has the effect of prohibiting compliance with the water-saving measures contained in this directive.” One of these water-saving measures is to limit outdoor watering to no more than twice per week. The California Legislature is also considering three bills related to drought relief, which would impact HOAs. AB 2100 (Campos) and SB 992 (Nielsen) would prohibit HOAs from imposing a fine or assessment against a member for reducing or eliminating water of vegetation or lawns during a Governor-declared state of emergency, or a local government-declared emergency, due to drought. If passed, these bills would take effect immediately as urgency statutes. AB 2104 (Gonzalez) would provide that a provision of the governing documents, including the architectural or landscape guidelines, is void and unenforceable if it would have the effect of prohibiting low water-using plants as a group, or as a replacement of existing turf, or if it has the effect of restricting compliance with water conservation measures. The California Legislative Action Committee (“CAI-CLAC”) continues to seek amendments to these bills as they work their way through the legislature. It is important to note that both the Proclamation and the pending legislation are limited to periods of a Governor-declared drought. HOAs are still permitted to enforce other landscape maintenance issues, such as weeds, brush, tree trimming, etc. In addition, HOAs may continue to enforce irrigation provisions, provided they are within the parameters outlined in the Order or as set forth by the local water agency. HOAs considering changes to their architectural or landscape guidelines should seek the advice of their legal counsel. HOA Committee Meetings Open to the Membership? Asked – Our HOA has established several working committees such as Finance and Compliance. Do these committees have to conduct meetings open to the public? Neither one has power to spend money but merely makes recommendations to the Board of Directors. Answered – No. The provisions of the “Open Meeting Act” (Civil Code §4900) requiring open meetings apply only to “board meetings.” A “board meeting” is defined as “a congregation, at the same time and place, of a sufficient number of directors to establish a quorum of the board, to hear, discuss, or deliberate upon any item of business that is within the authority of the board.” Civil Code §4090(a) (Emphasis added). Therefore, provided that the committee is not comprised of a sufficient number of directors so as to constitute a quorum (typically a majority) of the board, the committee’s meetings are not required to be open to the membership. As illustrated in your question, most committees are purely advisory in nature and provide their findings/recommendations to the board in an open board meeting. Even where a committee does have some decision-making authority (i.e., to approve homeowner architectural applications or expenditures for an ongoing HOA construction project), an “item of business” contemplated by the Open Meeting Act does not include “actions that the board has validly delegated to…. [a] committee of the board comprising less than a quorum of the board.” Civil Code §4155 (Emphasis added). Therefore, if the board has delegated an action or decision to a committee comprised of less than a quorum of the board, the committee’s decision-making authority would not in itself trigger the Open Meeting Act’s requirements. Even if your committee is not required to hold open meetings, it may be beneficial for committees with decision-making authority to provide notice to the membership and to post an agenda. Doing so will help prevent claims of impropriety on the part of the committee or the board in situations where a member may object to a decision or action by the committee. You should also refer to your HOA’s Bylaws to determine if there are any additional committee requirements. Blog post authored by Tinnelly Law Group attorney, Terri Morris. Is There a ‘Model’ Set of HOA Rules & Regulations? Asked – Are there recognized models of well-written rules and regulations for homeowners associations? Answered – No, there are not, and the reason is because homeowners association (“HOA”) CC&Rs typically leave the drafting and amending of rules and regulations to the HOA’s Board of Directors. The types of rules and regulations (defined as “operating rules” under the Civil Code) that a HOA may adopt will depend on the language contained in the HOA’s governing documents as well as the unique characteristics of the common interest development. For example, the CC&Rs for condominium developments usually contain provisions explicitly addressing the Board’s ability (and in many cases, the Board’s obligation) to adopt a set of parking rules that regulate the HOA’s finite number of common area parking spaces. By contrast, CC&Rs for single family home projects may broadly state the Board’s ability to adopt rules governing the use of the HOA’s streets. 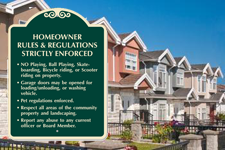 Here are the common issues that HOA Boards should address in drafting a good set of rules and regulations: common area rules, parking restrictions, noise and nuisance guidelines, trash can rules, pet restrictions, tenant rules, sign restrictions, pool and clubhouse hours, and the association’s disciplinary policy. Many of our clients also choose to include within their rules and regulations a restatement of some of the important restrictions contained in their HOA’s CC&Rs. This provides a valuable “quick reference guide” for residents who may not take the time to read through the entire set of the HOA’s CC&Rs. The Board may also include a copy of the following policies that are provided to members in the Annual Policy Statement pursuant to Civil Code § 5310 as part of the “quick reference guide:” Architectural Guidelines and Application Procedures, Neighbor-to-Neighbor Dispute Policy, Alternative Dispute Resolution Procedures, Election Policy, and Assessment Collection Policy. Rules and regulations are a valuable tool for resolving certain issues that are not explicitly addressed in a HOA’s CC&Rs. However, a Board must be aware of the limitations placed upon its rule-making authority under its HOA’s governing documents as well as the Civil Code. Therefore, where a Board’s authority to adopt or amend any particular rule or regulation is unclear, the Board should consult with the HOA’s legal counsel.